What exactly is a wedding stylist? Your questions answered! It’s happened! One of you has gotten down on one knee, popped the question and received a YES! Yay! Exciting times ahead for the both of you. Once you’ve told your friends and family, marvel at the ring and enjoyed some celebratory champagne, it’s time to get started on that wedding planning. There is no denying, it is a time-consuming job. Which is why it’s crucial you surround yourself with an amazing support team – whatever that means to you - family, friends, florists. Another important role to consider in your planning team is a wedding stylist. But what exactly is a wedding stylist you may ask? So, what’s a wedding stylist? 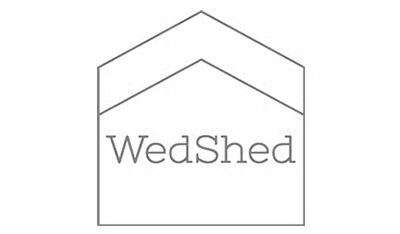 To put it simply, a wedding stylist is a person (or a team of people) who will work with you to ensure that your wedding is unique to you both - something completely individual to you as a couple, evoking emotions through the beauty of wedding design. Wedding stylists don’t really have a set job description - instead, they work with you to determine your weddings look and feel. The aesthetic, per se. They will help you to refine and create a bespoke style throughout your wedding day - from your ceremony, to the lighting, the blooms and every little unique detail. They’ll help you pull it all together, and of course on the big day will set and style each element for you! Wedding stylists work really hard to make your day perfect - they are usually a small, dedicated team who work long hours and call in a lot of favours to make your day perfect. But of course, that is just on the day itself - in the lead up, they are working extensively to make sure they have everything you need for the day, that it arrives on time and that it is set accordingly. They will work in conjunction with your other suppliers, particularly with your venue coordinator to ensure a seamless result is achieved. What’s a wedding stylist able to help with? A lot. Of course, you can opt to style your wedding yourself however we often find many clients easily underestimate the time involved in curating something truly unique. We know all too many couples who have set themselves such high expectations and lengthy to do lists and even with their family or friends assistance have become overwhelmed with what appeared to be quite a simple task. Leaving you frazzled trying to coordinate your helpers, anxious in the lead up and disappointed the morning of your big day as you spend majority of it setting everything up yourself! Perhaps your venue has an incredible functions team though? That’s fantastic and we always work hand in hand with these tireless industry angels, however most venue hire packages only include minimal styling inclusions for your day and if you have a bigger vision in mind it is important you seek the extra assistance. Not to mention - there are somethings only an expert can do! 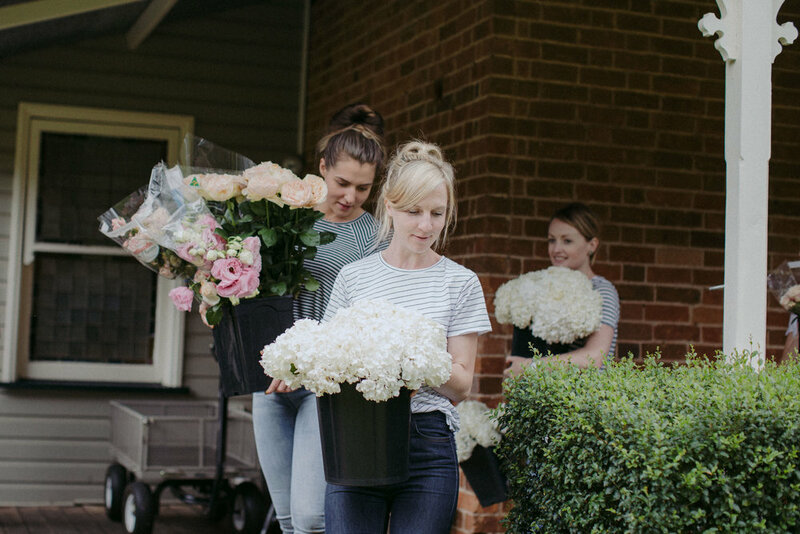 Like knowing exactly where to source the perfect items for your design concept, or understanding how to best keep and transport your flowers and of course how to set, style and pack down your design both efficiently and to perfection! Wedding stylists will be able to translate your ideas and your unique personalities into a visual concept for your big day – from just a few words, inspiration images and taking the time to get to know you both as a couple, curating a completely bespoke design for your special day is the pinnacle of the job! You get to focus on enjoying the lead up, the big day itself and of course being loved up - they’ll do the nitty gritty jobs that will make your vision a reality. They will start the day at 4am, packing vans and crosschecking décor pieces and will be back on site at midnight and the next day (usually a Sunday!) packing everything back into the van, checking stock, cleaning, storing and returning items as needed. A wedding stylists role is often most valued for what they bring together on the day for you – of course, this is the most ‘seen’ part of their job. But what isn’t always seen is the countless hours in prep, supplier sourcing, design time, brainstorming, floor planning, developing concepts, phone calls, emails, coffees, late nights, early mornings, wax removal, polishing, ironing, stain removal, heavy lifting, sweeping, thorn pricks, cuts, chair straightening, ordering, delivering, maneuvering, crosschecking checklist, then crosschecking again! The dedication to achieve perfection for our clients is ruthless but the look on our clients faces when they first lay eyes on their reception space, or when the Bride sees her bouquet for the first time makes every ounce of the job, worth it. It depends - there are many elements involved in a wedding stylist’s role and each stylist will have their own service model (for example, some offer floral design and hire along with styling services, while others don’t). Your final cost will be dependent on your requirements – the products you require and the level of service you require, simple. Variables such as travel, run sheet perimeters (i.e. midnight bump outs, early morning bump ins), additional site visits, further pre-event consultations, managing additional suppliers, custom designs and sourcing will alter your wedding stylists fee. Understanding the inclusions and exclusions of your wedding stylist quotation is essential, particularly if you are comparing pricing from a number of suppliers. As styling is as much a creative profession as it is an organised one, it is essential you select your wedding stylist not just dependent on price alone - but also how you feel they align with your own style and how you feel they will execute your vision. To discuss your upcoming wedding with us, contact us here.